After a near-death experience during a tsunami, French TV journalist reassesses her life. After a car kills his twin-brother, a London boy is desperate to keep the close connection they had. And in San Francisco, lonely George (Matt Damon) is trying to find a way to live with his ‘gift,’ which is the ability to talk with those who have died. 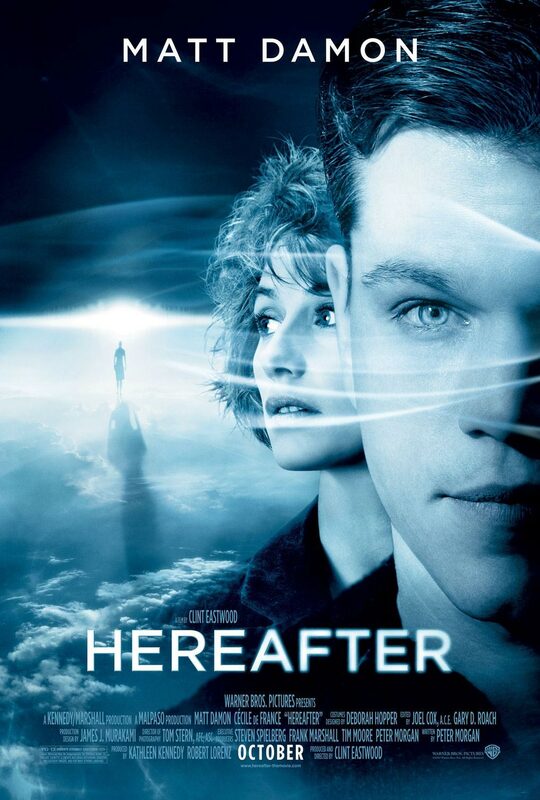 Their lives will intersect and each will be forever changed by what they believe does, or doesn’t, exist in the hereafter. It’s interesting, and a bit frightening for those of us who are devotees of Director Clint Eastwood’s work, that at 81 years old, he should tackle the question of what happens to us after we die. Scriptwriter Peter Morgan is a master dramatist of major true-life political events and figures as seen in his films “The Queen”, “The Last King of Scotland” and “Frost/Nixon,” but this is a more subdued script that culminates in a gentle film full of warmth. Eastwood is a man who offers a poetic grace to all that he does and ultimately, it’s the fact that he directed, and did the musical score, that are the reasons one should see this film.